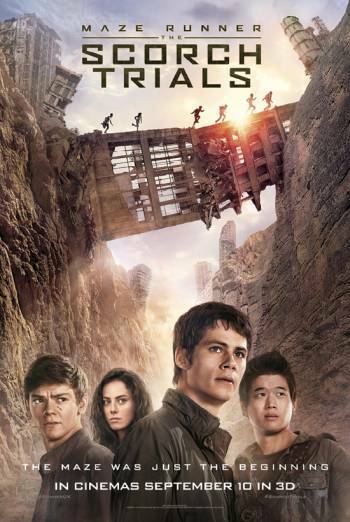 Summary MAZE RUNNER: THE SCORCH TRIALS is a science fiction film in which a group of young people must navigate a hostile environment in search of a safe haven. This work was originally seen for advice. The company was advised that the film was likely to receive a 15 certificate but that their preferred 12A classification could be achieved by making some changes. The company was advised to reduce moments of threat and 'horror' involving zombie-like characters, and to reduce the focus on injury in a scene in which a man is beaten for information. When the film was formally submitted, changes had been made and, consequently, the film was passed 12A.